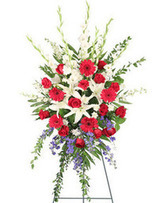 Funeral Flowers - At FORT WORTH FLORIST, we design and deliver Sympathy Arrangements that beautifully convey your expressions of sympathy and serve as a lovely memorial to the deceased. All White Sympathy Flowers. 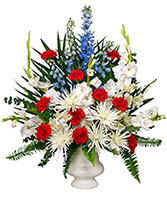 White & Blue Sympathy Flowers. Lavender & Purple Sympathy Flowers. White & Pink Sympathy Flowers. 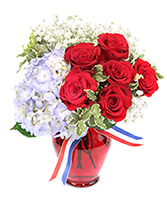 White & Red Sympathy Flowers. 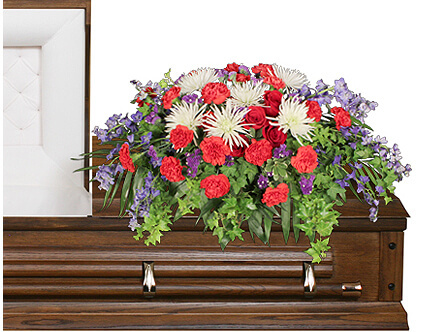 Bright Sympathy Flowers. Pastel Sympathy Flowers. White & Yellow Sympathy Flowers.